Custom madespinnaker sleeve. 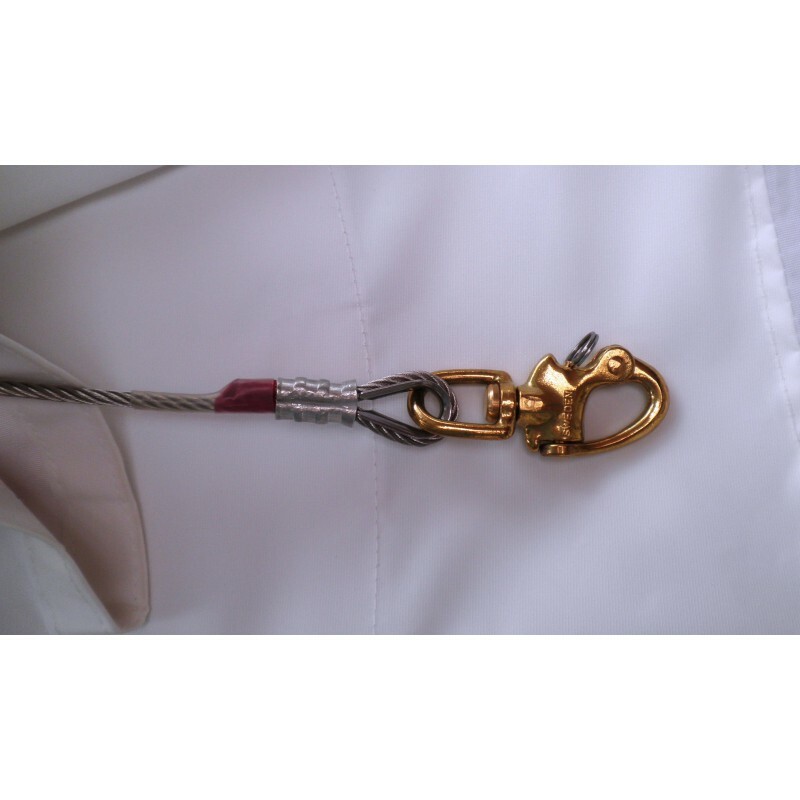 The snuffer length must be 50 cm shorter than your spinnaker luff. It is better to leave free the three points. 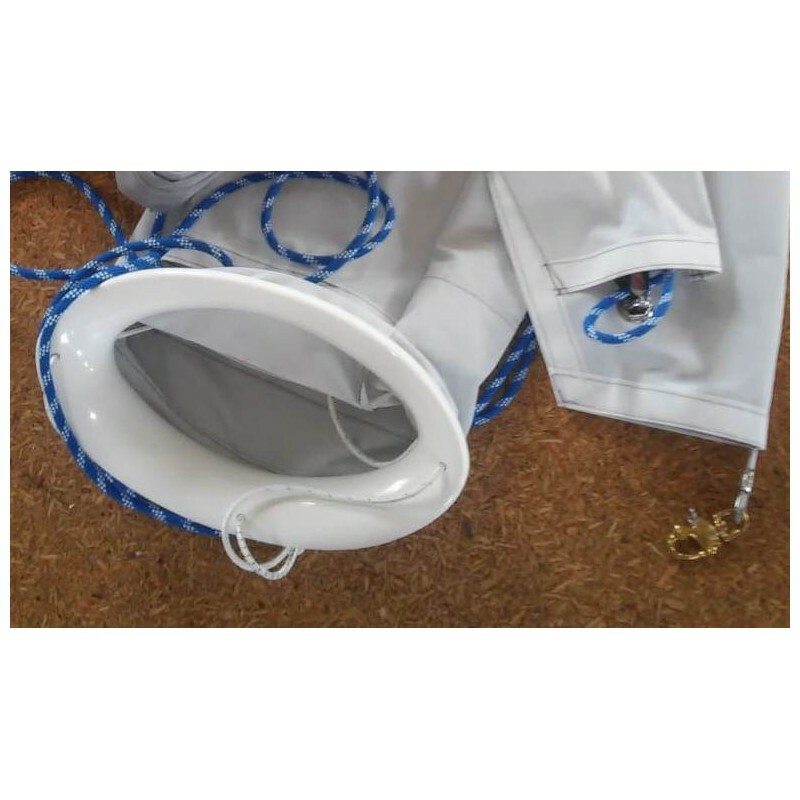 Spinnaker snuffer can be used for easy hoisting and dropping of spinnakers. 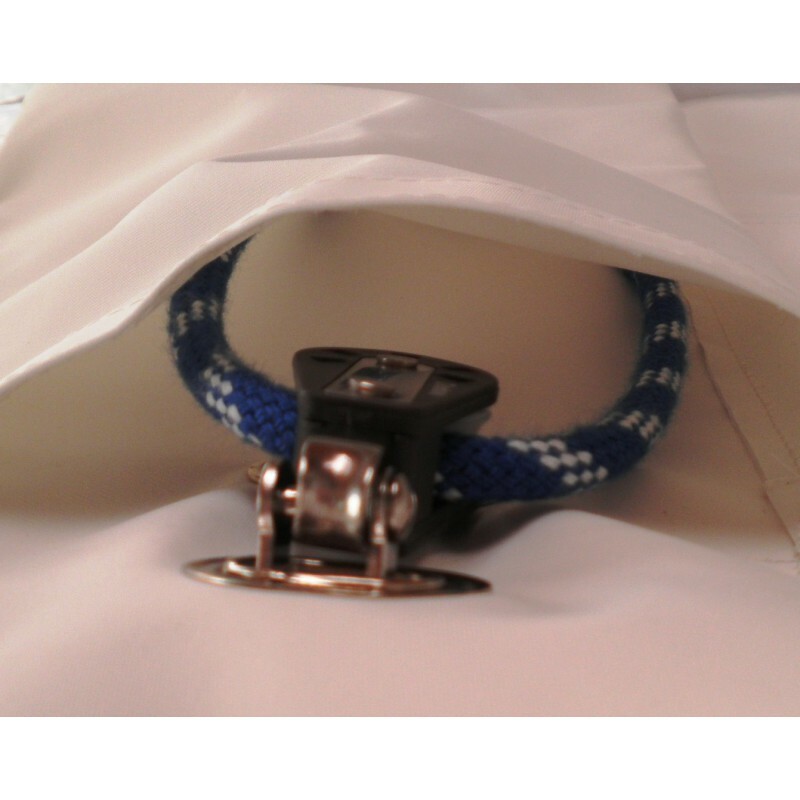 The spinnaker is hoisted inside the sock, ready to be used. Spinnaker sock is a device that allows you to use standard symmetrical spinnakers, asymmetrical spinnakers, cruising spinnaker. Our custom sock is sold with complete hardware and ready to sail. The spinnaker sock is very useful for small number of crew. It is used worldwide by short-handed crews, from the single-handed around-the-world cruising to local coastal sailing. Delivery: The average lead time is two weeks. It starts with the receipt of the complete order (order, measurement and deposit payment). The shipping price is €29, - per item.